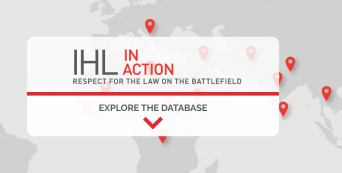 The “IHL in action: Respect for the law on the battlefield” database just launched a series of new case studies. Four of these cases have been prepared by our clinic students. The database, hosted by the International Committee of the Red Cross, compiles real life instances of compliance with the law. The research is conducted by the Leiden IHL Clinic and several other clinics. Discover the new case studies at https://ihl-in-action.icrc.org/and help us to #ChangeTheNarrative.